Just the thing for storing collectible, expensive and easily scratched knives is Spyderco's padded zipper carrying pouch. Seven inches long and three inches wide, the pouch holds a folded pocke knife up to six inches in length. 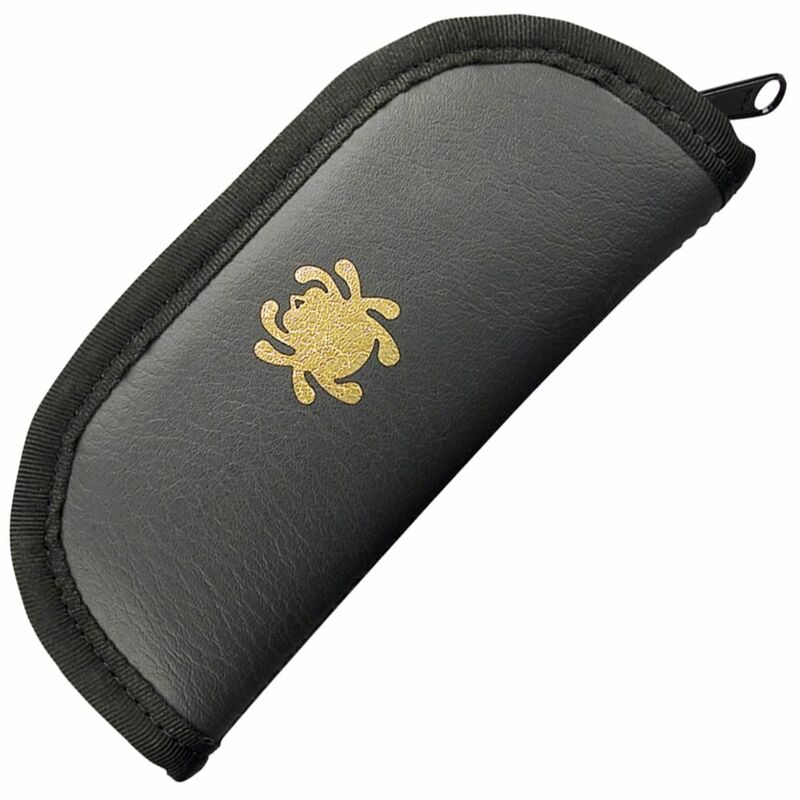 Made of black mock-leather, it's embellished with a gold SpyderBug. All perimeter seams are tightly sewn and edged with a vinyl sizing strip for added security. Inside is plush foam padding with non-scratching black nylon liner. The zipper runs the full length of the pouch for easy access and added security.